Last week in this space we covered the New York Auto Show debuts of two major Toyota models. This week, we’re looking at a concept SUV we’re hoping will become a production model. 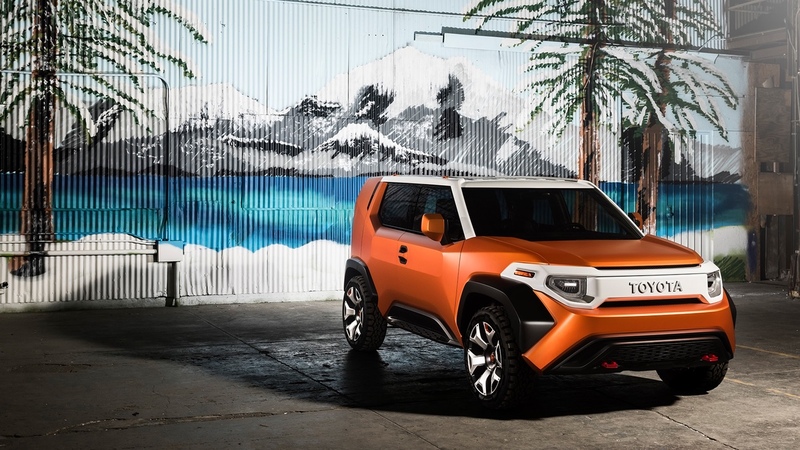 Let’s face it, the Toyota FT-4X concept looks to be a ton of fun for Los Angeles drivers, and we’d love to offer it at Keyes Toyota. The Toyota FT-4X comes with nearly as many marketing buzzwords as it does features, which is saying something. Leave aside the hype and look at the substance, of which there’s plenty. This concept SUV shares a platform (and, possibly, a drivetrain) with the upcoming Toyota C-HR, but it also blends the looks of the retired Toyota FJ Cruiser SUV, and off-roading capability that should be at least as competent as the Toyota RAV4. There are dozens of thoughtful touches, from ample storage space (with organizers), a wet storage area, an interior that’s easy to clean after your weekend adventures, a radio that can be used outside the vehicle, a dual-mode rear gate that hinges at both the top and sides, hot and cold storage, and plenty of USB ports. Concept vehicles often take an everything-but-the-kitchen-sink approach to features and design, and the Toyota FT-4X is no exception. If it makes it to production status — and we really hope it does — we expect that the interior will be more conventional than the concept form. The exterior, on the other hand, is endearingly chunky, and it’s forward-looking while also having plenty of cues that draw on some of the most celebrated Toyota SUVs. If you’re in the market for a new SUV near Glendale right now, Keyes Toyota has excellent choices. From the capable Toyota RAV4 to the legendary 2017 Toyota Land Cruiser, our Van Nuys showroom at 5855 Van Nuys Blvd has what you need. Visit us today!